Page Updated:- Thursday, 20 December, 2018. Above picture by kind permission of Clive Webb. Originally the "White Horse" but changed its name in 1826 when William Wood was the licensee and remained an alehouse until March 1832 when William Wanstall junior, who had taken over from William Wood in May 1831, ceased trading as an alehouse keeper on these premises. 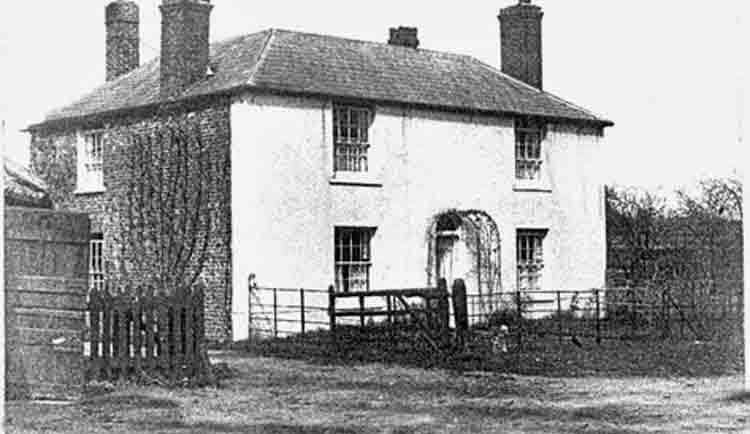 Following the closure of the Hawks Head in March 1832 the premises was taken over by Andrew Morgan, the blacksmith, who paid the combined taxes for the old alehouse and the smithy which now constituted one property under his occupancy. Prior to its closure, the alehouse had been the venue for Vestry meetings, the forebear of the modern parish council, which were held every other Thursday and dealt with the administration of Church and parish affairs as well as administering the poorhouse in Church Street. After the closure of the Hawks Head the meetings were moved to the newly opened Royal Oak. The smithy continued to operate until the middle of the 1900's when the last full time blacksmith, George Beer, hung up his striking hammer for the last time. The forge, having stood against the Church wall where the post box and car-park are now situated, was demolished in the late 1950's. Abbots Dairies of Canterbury leased the old alehouse premises for many years, finally buying it in the late 1940's some years after it had been bought by Mr. Scothorne when the Hammond estate was dispersed in the late-1930's. The dairy closed in the late 1980's, and is now a private residence. Charles Igglesden in his “Perambulations through Kent” in 1913 writes, “Down by the roadway is a remarkable little structure of Tudor date and here again we find the brick and timber style. It formerly went by the name of ‘the Ale House', now Church House". My late uncle Frank Webb, born next door in Forge Cottages in 1917, told me that he understood from older inhabitants of the parish that the building had previously been of timber and brick construction. The building was obviously externally altered not long after Igglesden's visit, but even now still retains many original internal features.